Airport operator HMSHost Corp. is bringing an artistic holiday experience to airport travelers this season. 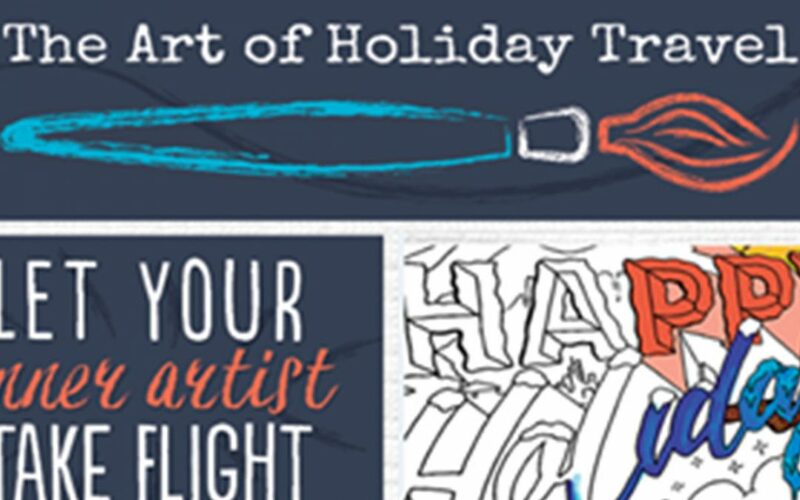 The Art of Holiday Travel – A Mural Painting Pop-Up Series is a traveling, interactive art installation featuring mural sketches from locally commissioned artists that travelers and airport guests will be invited to help paint. Each mural sketch is inspired by a holiday theme and incorporates regionally relevant elements. Each airport will kick off the pop-up event by inviting the mural’s artist to begin painting their sketch, with travelers being invited to contribute and embellish with their own personal touches. Once completed, the murals will be donated to local community partners focused on supporting youth in need. The mural painting pop-ups are set to take place at Chicago’s O’Hare International Airport December 15, Miami International Airport December 4, and Seattle-Tacoma International Airport December 13.